Full NHL Fastest Skater | 2017 NHL All-Star Skills Competition: Thanks for checking out my video, if you have any requests leave it down below. TALK TO ME! Motocross 2017 MxTv: ???????? Leia a descrição ???????? North Haven High School Class of 2018 North Haven , CT.
Eritrean News - Amanuel G and Elias A - Belgium Cycle Club 2020 - Eritrea TV: Eritrean News - Amanuel Ghebrezgabiher(Asbeco) and Elias Afewerki(EriTel) - Belgium Cycle Club CT 2020 - Eritrea TV. BOWIE, Md. – Juniors Kyah Proctor (Capitol Heights, Md.) and Lisa Jing (Laurel, Md.) along with freshman Kyaja Williams (Baltimore, Md.) lead Bowie State to a 43-38 home division win against Elizabeth City State on Saturdayafternoon. The win improves the Bulldogs season record to 16-5, 8-3 in CIAA play and 3-2 in the North. Proctor led all scorers with a game-high 15 points while Williams notched her third double-double of the season (11 points and 11 rebounds) and Jing chipped in 11 points to go along with seven rebounds and a career-high five steals. Bowie State senior Ashley Jennings (Newark, N.J.) contributed five points and added four rebounds and junior Kiara Colston (Burtonsville, Md.) tallied a season-low three points and senior Denver Clyde was responsible for one point. Elizabeth City State (4-12, 2-8 CIAA, 0-5 North) was led by Jalyn Brown (Williamston, N.C.) and Jazmine Nixon (Elizabeth City, N.C.) with nine and seven points respectively. Nixon led the Lady Vikings on the glass with nine rebounds. The Bulldogs were pretty sluggish in the first half, scoring a season-low 17 points but went into halftime with a 17-15 advantage. Neither team could find the range in the first 2:35 of the first quarter until Bowie State junior Pere Alexander (Baltimore, Md.) made 1-of-2 free throws for the first points of the game. Bowie State and Elizabeth City State shot an identical 25 percent from the field over the first 20 minutes. The Bulldogs made 5-of-20 from the floor in the first half while the Lady Vikings made 6-of-24 from the field. Ironically, each team also shot 3-of-9 behind the 3-point line. Bowie State knocked down 4-of-7 first half free throws compared no first half free throws for Elizabeth City State. The third quarter was nip and tuck and featured three ties. Elizabeth City State led briefly 25-23 at the 4:30 mark following a 3-pointer by Keechell Johnson. That lead didn’t last long as Jing answered with a layup, tying the game at 25-all followed by a pair of Proctor free throws to shift the advantage back over to Bowie State for good. With the scored knotted at 33-all at the 3:59 mark of the fourth quarter, the Bulldogs closed the game with a 15-0 run to account for the final margin of 48-33. The 33 points were a season-best for Bowie State’s defense. The Bulldogs hit the road for the next contest, traveling to Lincoln University of Pennsylvania next Saturday(February 4th) for 1 p.m. divisional matchup against the Lady Lions. PATRIOTS SUPER BOWL 51 HYPE ?? Big 12 Basketball Highlights Update: (From)This is the official YouTube channel for the Big 12 Conference. Target Essentials: Expect More, Pay Less. Big Ten Men's Basketball Update: (Featuring):Penn State head coach Pat Chambers address the media after beating Illinois on Saturday. Jaxon Morehouse #2 - 5'11 SF Class of 2018 Recruiting Video!! College Tennis Recruiting Video Fall 2018 - Sarah Hickey: Sarah is looking for a tennis scholarship for the Fall of 2018. Surfing HB Pier | January 8th | 2017 (Raw Cut): After an early pre dawn patrol bodyboarding figured i kill a few more hours from the sand as the contest took over and tide started to cooperate. motocross tucuman, circuito la rinconada, 1er gran premio carlos abregu, 2018.
motocross tucuman, circuito la rinconada, 1er gran premio carlos abregu, 2018.: final de la categoria cross en el circuito la rinconada, gran premio carlos abregu la 2018, enduro tucuman, teras. 2018 OGQ. Ukraine - Japan - 1:2 (14.02.2016, full game): Full game between National Ice Hockey Teams of Ukraine and Japan at the Olympic Qualification Preliminary Round II Tournament, Group G.
Single Speed Mountain Bike Ride Bootlegger's Run Trail Singletrack Bike Blogger: This single speed mountain bike ride is on the 5.5 mile singletrack trail loop called Bootlegger's Run in Creve Coeur Park, St. Louis Missouri. Live High School Basketball JA Basketball vs Parklane Academy - 01-27-17: The JA JV/Varsity Raiders and Lady Raiders are back at The Raider Dome today taking on Parklane Academy. 2020 Wrestling: Wrestling Program - preparation of children and adolescent for competetive wrestling - Freestyle, Greco-Roman, Beach Wrestling and Grappling. 500 FREESTYLE SWIM - 2020 OLYMPICS ??? Pac-12 Men's Basketball Update: (Featuring)Highlights from No. 10 Oregon's 73-67 win over Utah on Thursday night in Salt Lake City. Dillon Brooks led the Ducks with 19 points. KONG: SKULL ISLAND - In theaters March 2017: We don’t belong here. Big Ten Football Update: (Featuring)Gerry DiNardo and Jillian Mahen talk with Iowa's CJ Beathard as he preps for the Senior Bowl. Under The Radar Top High School Prospects 2016-2017 and More! Under The Radar Top High School Prospects 2016-2017 and More! : We produce the HOTTEST sports highlight videos in the nation. DEC 6 CURLING WORLDS 2018 T: The best Women Curlers in the World will be coming to North Bay in 2018. Its official the Ford Worlds will be here in March of 2018. Track & Field...With Skateboarding: On the road to Tokyo 2020 Olympic Games. On the road to Tokyo 2020 Olympics. The Gaman Spirit: Why Cycling Works in Tokyo: In Tokyo 14 percent of all trips are done by bike, every single day. KitchenAid Recipe How-To Videos: Join our community of passionate cooks for news, recipes and endless inspiration. Want to Learn how to DOMINATE on the mat? Word of the Week with Jesse, Week 113: This week's word is resurrection. Grace McGouldrick Class 2018 Softball Recruiting Video: Speedy, Lefty Slapper. SS, OF, Pitcher. BIG EAST Men's Basketball Update: (Featuring):A look at NCAA Basketball Player of the Year Candidate and Villanova Wildcat standout senior Josh Hart. Markel Crawford · R-Jr. · G · Memphis · Memphis, Tenn.
Big 12 Basketball Highlights Update: (From) the official YouTube channel for the Big 12 Conference. Big 10 Network (A little Football News) A whole lot of Men's Basketball! Jonathan Brundidge #1 - 6'5 SG/SF Class of 2018 Recruiting Video!! 2017 NFL Draft Prospects: The #1 place to find college football, basketball & baseball highlights. Subscribe to watch the latest highlights! 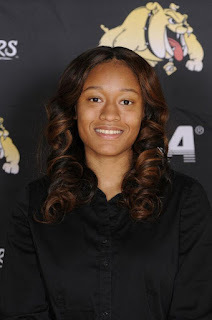 CHARLOTTE, N.C. – The Central Intercollegiate Athletic Association (CIAA) in conjunction with the conference head coaches and Sports Information Directors released its weekly women’s basketball honor roll and Bowie State junior Kiara Colston has been tabbed Player of the Week for the first time this season. Colston led the Bulldogs in terms of scoring average last week (21.5 ppg), with her best performance coming at Chowan on Saturday, scoring a game-high 27 points to go along with five rebounds, three assists and three steals. To date, Colston has scored 692 career points at Bowie State and a total of 940 collegiate points which includes one season (2014-2015) at Georgian Court University. Bowie State will host Virginia State University on Wednesday (1/25) at 5:30 p.m. as part of a CIAA Northern Division doubleheader with the men. Women vs. Trojans – 5:30 p.m. Under The Radar Top High School Football Prospects For 2016-2017 Update: We produce the HOTTEST sports highlight videos in the nation. National Athletes comment Karate into the olympics 2020 Tokyo Japan: Indonesian Karate National Athletes give their opinions and their preparation facing Karate Into Olympics 2020 in Tokyo - Japan. Lolo Jones: I'm still preparing for 2018 Winter Olympics, 2020 Summer Olympics: Olympian Lolo Jones says she is going full force to qualify for the next two Olympic Games. Scope: Race Walking with Dane Bird-Smith: We catch up with Dane Bird-Smith as he sets himself up for the Olympic games. Triathlete Training: The world's leading source for triathlon news, gear, training and nutrition information. CARLOS MOYET - BASEBALL RECRUITING VIDEO Class of 2018: Waterford Mott High & Travel Teams. All clips were from games played in 2016 and feature my Defensive ability, Range, fundamentals and Offensive ability. Ayzayah Hartfield Class of 2020 Wrestling Highlights: Ayzayah is a freshman weighing in at 168 lbs. He is currently wrestling in the 182 lb weight division for Coronado High School in Henderson NV. Announcing #TaylorSwiftNOW only on AT&T from DirecTV: Taylor fans have a new destination for unique and never seen Taylor Swift videos, Taylor Swift NOW – only on AT&T. Ally Bezjak - Class of 2018 Softball Recruiting Video: Video showing the abilities and skills of Albert Gallatin Area SD student, Ally Bezjak. A look at NCAA Basketball Player of the Year Candidate and Villanova Wildcat standout senior Josh Hart. American Athletic Conference 2016-17 Men's Basketball Highlights Update: Visit TheAmerican.org for more information. Clubs of America—since 1994, the world's foremost monthly gift club specialist! Clubs of America—since 1994, the world's foremost monthly gift club specialist! : Clubs of America is a family business, built the way many other great American companies were built: on a dream, hard work and not much else. Big 12 Basketball Highlights Update: (From)the official YouTube channel for the Big 12 Conference. Gavin Schoenwald, 2018 Basketball Recruit, Freshman Varsity Highlights: Freshman season (2014-15) varsity highlight video for Gavin Schoenwald (#21), PF for State Champions Brentwood Academy. College Tennis Recruiting Video Fall 2018 - Lindsey Pesqueira - Smarthlete: Lindsey is looking for a tennis scholarship for the Fall of 2018. Under The Radar Top High School Football Prospects For 2016-2017 As Of 01/20/2017: We produce the HOTTEST sports highlight videos in the nation. Explosive Judo Workout: Explosive workout targeting our upper body lower body and core. All these exercises are used when training for Judo. BOWIE, Md. – Virginia Union’s Tavon Mealy (Richmond, Va.) threw up an over-the-shoulder layup as time expired to lift the Panthers to a 70-69 overtime victory at Bowie State on Wednesday night. The loss, Bowie State’s second in a row, drops the Bulldogs season mark to 7-11, 4-4 in league play and 0-1 in the Northern Division. Bowie State junior Omari George (Baltimore, Md.) came off the Bulldogs bench to pace the team with a team-high 18 points, on 5-of-7 shooting from the field and added five rebounds, one block and a pair of steals. Junior Ahmaad Wilson (Baltimore, Md.) contributed 17 points and senior Enuoma Ebinum (Greenbelt, Md.) hauled down a team-high 12 rebounds to go along with nine points and two blocked shots. Virginia Union (14-5, 6-1 CIAA, 1-1 North) was led by Ray Anderson (Wilmington, Del.) with a game-high 24 points, which included a perfect 9-of-9 at the free throw line. Kory Cooley (Washington, D.C.) also scored in double figures, chipping in 11 points for the Panthers. VUU’s Mealy led all players on the glass, ripping down 13 boards and tallied eight points. The Bulldogs jumped out to an early 6-0 lead via back-to-back 3-pointers by redshirt freshman David Belle (Hyattsville, Md.) and Wilson and led the Panthers 7-2 over the first four minutes of the contest. Virginia Union’s Panthers responded with a 9-2 run to take their first lead (11-9) at the 12:26 mark of the opening half. The Panthers stretched its lead to ten points twice in the first 20 minutes with the last coming (23-13) with 6:08 to go. The Bulldogs defense really intensified and the Bowie State offense answered with an 8-0 run to pull within two at 23-21 with just over five minutes left before halftime. Bowie State would regain the first half lead at 30-29 after a Wilson triple and went into the break holding a 37-34 advantage. The lead would change hands three times in the second half and resulted in regulation ending at 65-all. Mealy scored the first points of overtime for Virginia Union and Bowie State’s George drove the paint for layup to tie the game at 67-67 with 2:39 left in the extra period. VUU’s John Mitchell (Harlem, N.Y.) shifted the advantage back over to the Panthers at 68-67 after making 1-of-2 free throws. BSU’s George made a twisting layup on the Bulldogs next possession to shift the lead back to the home team at 69-68 with 1:48 remaining in overtime. Unfortunately, the Panthers were able to steal a win after Mealy’s stick back as time expired. Bowie State will look to snap this two-game slide on Saturday (1/21) on the road at Chowan. Game time between the Bulldogs and Hawks is set for 4 p.m. the CU’s Helms Center. BOWIE, Md. – Bowie State University women’s basketball hosted #2 Virginia Union University on Wednesdayevening and came up a little short, falling 77-70 in the A.C. Jordan Arena. The loss sets the Bulldogs overall record at 14-3, 6-2 in the CIAA and 1-1 in the North. The Lady Panthers took a 32-29 lead into halftime, primarily on 57.1 percent shooting from the field. After trailing 16-10 after the first quarter, Virginia Union came alive in second quarter, making 8-of-12 field goals (66.7 percent). The Bulldogs on the other hand made just 10-of-34 from the field (29.4 percent) in the first 20 minutes and kept it close thanks to 6-of-10 three pointers. Virginia Union’s Brittany Jackson (Sebastian, Fla.) scored the Lady Panthers first three points of the third quarter only to have Bowie State answer with a 5-0 run to pull the Bulldogs within one at 35-34 at the 7:17 mark. Bowie State regained the lead at 38-37 following a Proctor jumper with 5:28 left in the third quarter. However, Virginia Union’s Kishona Sutton (Norfolk, Va.) converted a traditional three-point play on the Panthers next possession to shift the advantage back over to the visitors for good. The Bulldogs were able to tie the game twice over the final 2:42 of the third quarter but trailed 48-46 heading on to the final quarter of play. The Panthers lead grew to a game-high 11 points (71-60) and the defending CIAA Champions were on their way to its 16th straight win of the year. Virginia Union (16-0, 7-0 CIAA, 2-0 North) was led by Jackson with a game-high 30 points (22 in the second half). Lady Walker (Cleveland, Ohio) and Jamika Ruffin (Wilson, N.C.) rounded out the Panthers double figure scorers with 14 and 10 points respectively. Ruffin and Walker tied for team-high rebound honors with eight apiece. The Bulldogs travel south for their next contest, making a stop in Murfreesboro (N.C.) to take on the Hawks of Chowan University at 2 p.m. Saturday (1/21) afternoon. Teaching Race Walking: This is a 4 min instructional video on how to teach the Race Walk. Triathalon group hoping to encourage exercise: High pollution, obesity and a lack of outdoor spaces makes exercising in Cairo difficult.